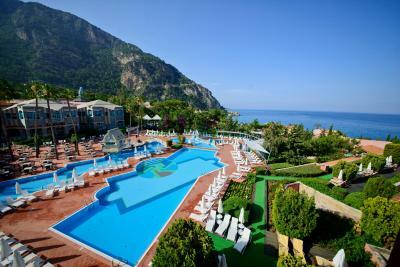 Lock in a great price for Sentido Lykia Resort & SPA - Adults Only (+16) – rated 9.3 by recent guests! Loved everything about stay. Great location where shades of green and blue merge and also clean sea. 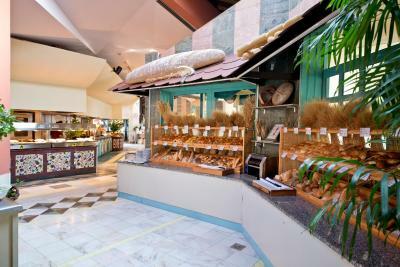 High quality and variety food and drink. Friendly, helpful and hard-working staff. Calm and beautiful. Food was delicious and good quality. 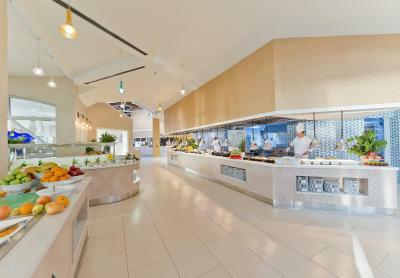 The complex is huge, so it doesn't feel crowded, the staff is great, the service is outstanding, the facilities are well maintained and clean, lots of activities, a lot of thinking about the small details. Perfect place for a perfect vacation! The area is amazing. So much to see and to do within the property. We booked on the SENTIDO (Adults only side) but got a room with Jacuzzi in the Liberty Side, so we could enjoy both sides, which was really nice. 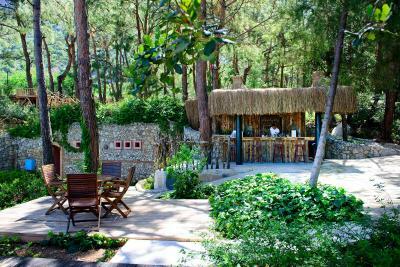 We were a little apprehensive having never stayed at a larger resort before, always favouring more boutique stays. However this hotel is fantastic! 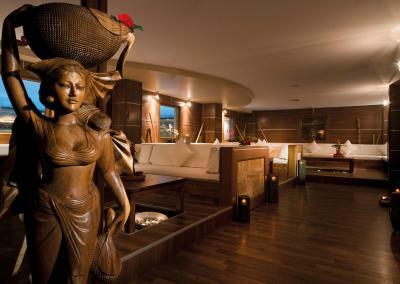 Despite being large with a vast range of facilities across the 2 resorts it still managed to maintain a sense of being intimate, with a calm and relaxing atmosphere. There was always a quiet spot to be found and never the feel of being overcrowded or fighting for a place on a sun lounger. The staff were brilliant and the fact that it was adults only but with the option to cross over to the family sister resort offered the best of both worlds in terms of facilities and feel. 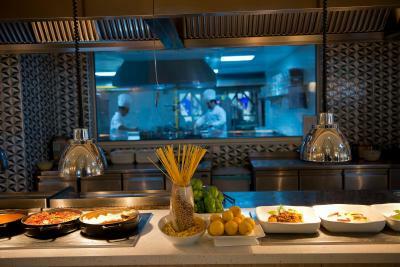 We tried 3 of the restaurants and all 3 were wonderful, particularly the Turkish restaurant was brilliant and very atmospheric, whilst the all-inclusive buffet was a really good standard and offered a wide selection. 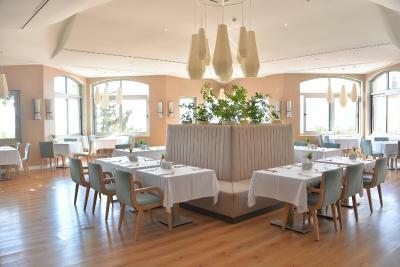 This hotel offered everything that we were looking for in a relaxing indulgent stay in the sun! This is the third time we have spent a holiday here and we look forward to returning again soon. 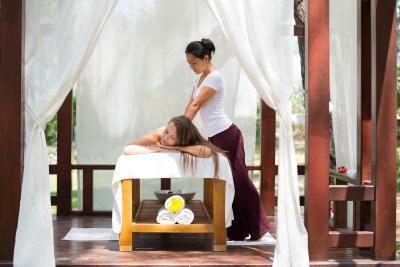 The service is excellent and the resort is beautiful with lots to do and great entertainment. 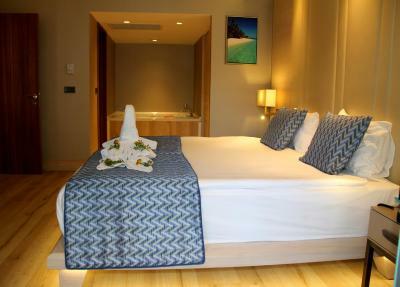 Beautiful room for four, with very large double bed. Good spacious lounge area. Lovely flat screen tv. Fantastic large wrap around balcony. Plus two showers in the room. 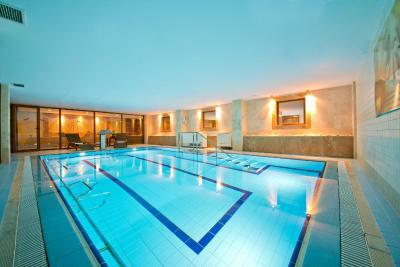 Fantastic quality tennis courts and lovely quiet pools in secluded areas. Amazing food and drink. 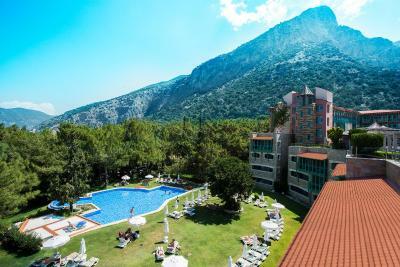 Sentido Lykia Resort & SPA - Adults Only (+16) This rating is a reflection of how the property compares to the industry standard when it comes to price, facilities and services available. It's based on a self-evaluation by the property. Use this rating to help choose your stay! Surrounded by pine forests, Sentido Lykia Resort & Spa has a seafront location. This adult-only property offers a 750-yard-long sand and pebble beach, 19 swimming pools, a 3-hole golf course, and spa facilities. Free WiFi is available throughout the property. 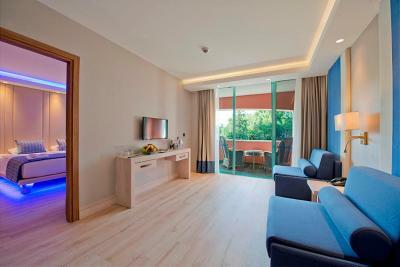 The spacious rooms of Sentido Lykia Resort & Spa offer sea, pool or garden views. 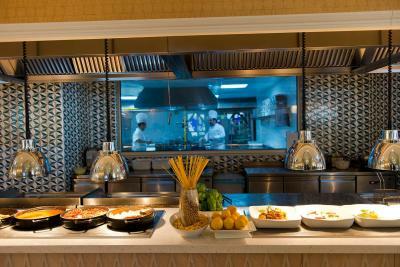 All rooms include satellite TV, air conditioning, mini-bar and free Wi-Fi. There is also a balcony in each room. 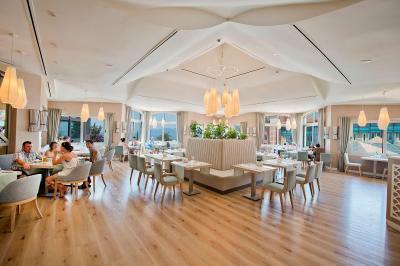 The Sentido Lykia Resort & Spa has 9 restaurants serving selected dishes from international cuisine. 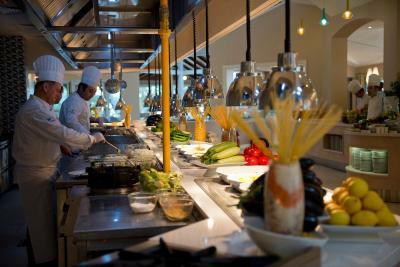 You can enjoy Italian and Far East cuisine, or seafood at the à la carte restaurants at a surcharge. 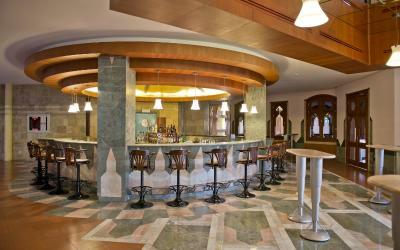 There are also 10 bars and a wine house on site. You can enjoy the outdoor, indoor, heated or adult-only pools. 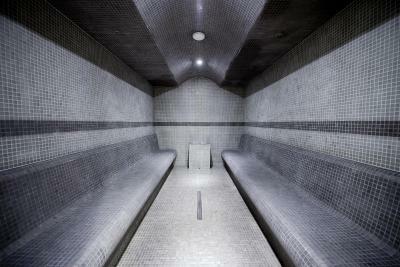 The spa center offers hammams and a range of massages. 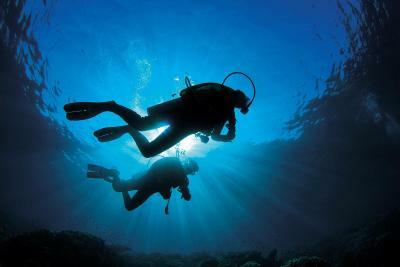 Water sports facilities and a fitness center are also available. Paragliding is very popular in this area. 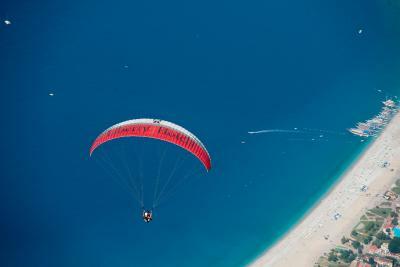 Babadag where you can do paragliding is only 40-minute drive from Sentido Lykia Resort & Spa. 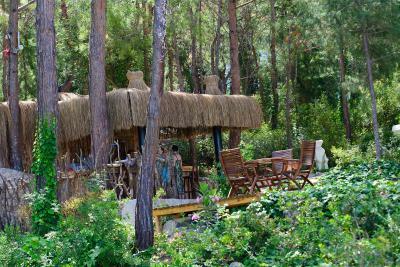 Famous Lycian Trail Way is 2.5 mi away. 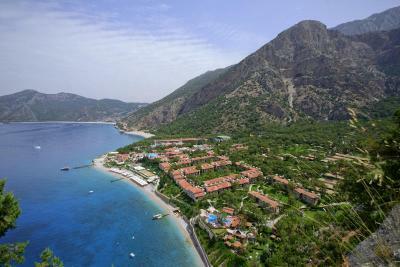 Oludeniz Beach is 2,950 feet from the property. Dalaman Airport is 44 mi away. 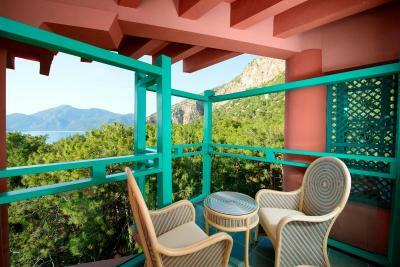 This property also has one of the top-rated locations in Oludeniz! Guests are happier about it compared to other properties in the area. 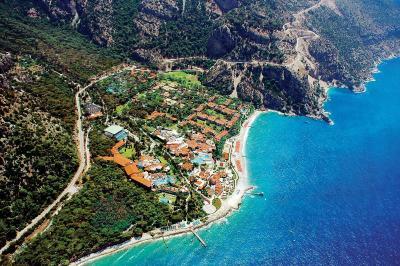 This property is also rated for the best value in Oludeniz! Guests are getting more for their money when compared to other properties in this city. 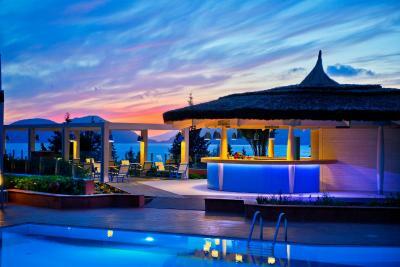 When would you like to stay at Sentido Lykia Resort & SPA - Adults Only (+16)? This spacious room features a terrace or a balcony with forest views. The private bathrooms have a separate walk-in shower with a range of luxurious amenities. An LCD TV and a minibar are included as well. 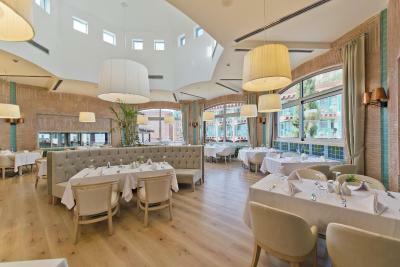 This spacious room features a terrace or a balcony with side sea views. The private bathrooms include a separate walk-in shower with a range of luxurious amenities. An LCD TV and a minibar are included as well. 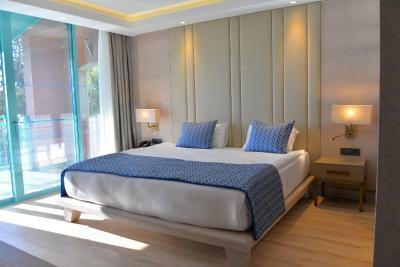 Totally renovated, this spacious suite has a balcony or a terrace with garden and partial sea views. 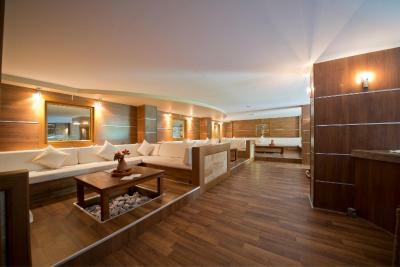 The living room includes a comfortable sofa and an LCD TV. 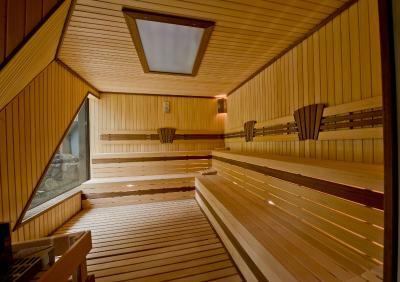 It features air conditioning, a safe and heating. 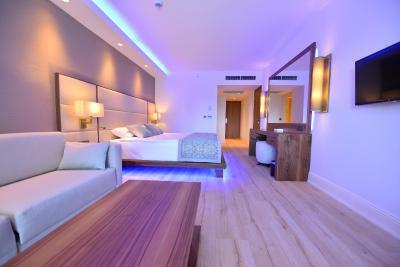 This spacious room features modern decor, a balcony, satellite TV and a bathrobe. 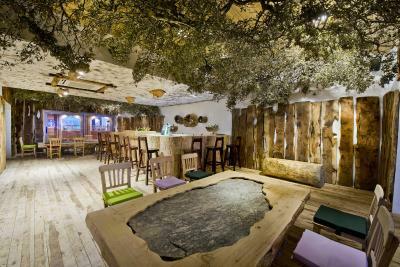 It also offers views of the forest. 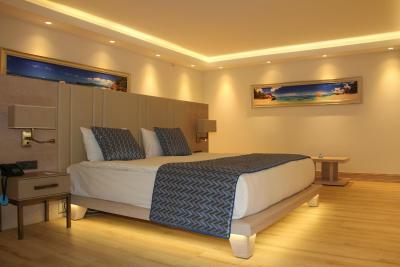 This spacious room features modern decor and a partial sea view. This suite has a balcony, air conditioning and mini-bar. Private bathroom comes with a spa bath. 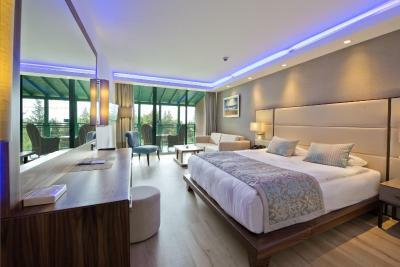 Elegantly decorated, this suite has 2 connected bedrooms, sea and forest view, living room and 2 bathrooms with spa bath. 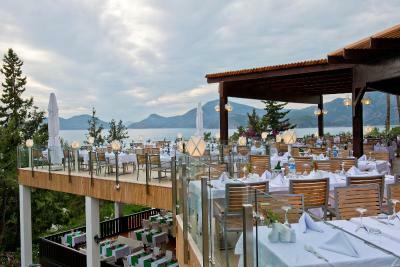 House Rules Sentido Lykia Resort & SPA - Adults Only (+16) takes special requests – add in the next step! 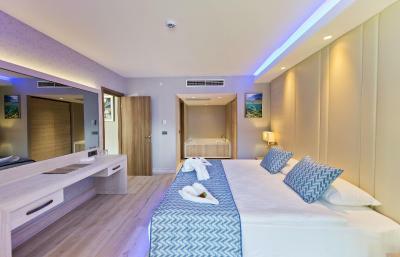 Debit card Sentido Lykia Resort &amp; SPA - Adults Only (+16) accepts these cards and reserves the right to temporarily hold an amount prior to arrival. Sentido Lykia Resort & SPA - Adults Only (+16) accepts these cards and reserves the right to temporarily hold an amount prior to arrival. 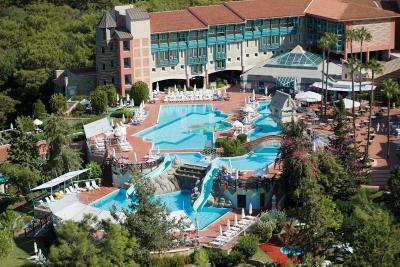 Please note that Sentido Lykia Resort & SPA is an adult-only property. Only children older than 16 years are welcome. Please note that guests are required to pay pre-authorization by 3D secure system in order to guarantee the booking. Property will contact you to provide any payment instructions. everything was amazing. No complains. The fact that there weren’t any iron boards in the rooms or that WiFi was chargeable. This should have been included as a 5 star property. The main pool too busy and noisy. The buffet restaurant by the sea too busy, but the restaurant in the hotel though less choice, which is disappointing did have waiter service, which was a plus. 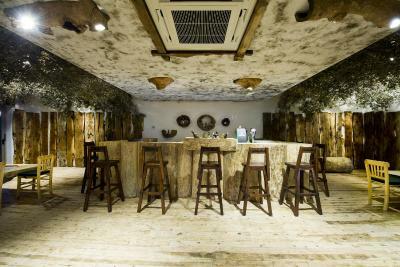 Aircon is poor and noisy, you need to get to know your chamber maid for consistent quality room maintenance over the stay, limited choice of beer available, some venues are very time specific and rigid with their opening hours. The dated buses that circle the resort although cute and provide service, release diesel smoke clouds as they pass your tennis court. How many clutches must they go through? (go electric). Well kept rooms, mini bar filled daily, comfortable beds, good food choices, stunning views and scenary, very cute pitch and putt, fabulous tennis courts built into the scenary, awesome adult only panoramic pool and wellbeing centre just down from the courts. 4th visit and just comfortably spent 10 nights, will go back next year!